THE Wondai band lead diggers and Long Tan veterans during the Wondai Anzac Day march. 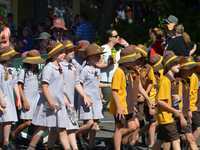 Wondai Band on Anzac Day: The Wondai band leads the parade on Anzac Day, 2018. 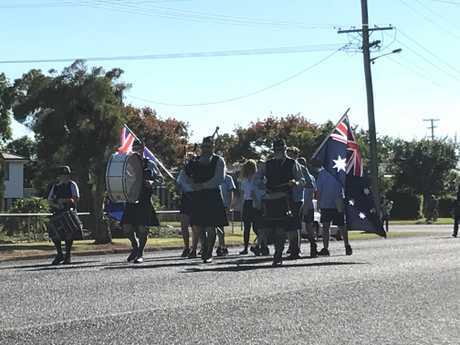 FOR the first time ever, the Kingaroy State High School band took to the street alongside veterans in the Anzac Day parade. Kingaroy marching band. 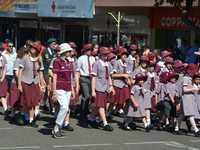 : Kingaroy State High School's marching band in their first Anzac Day parade. 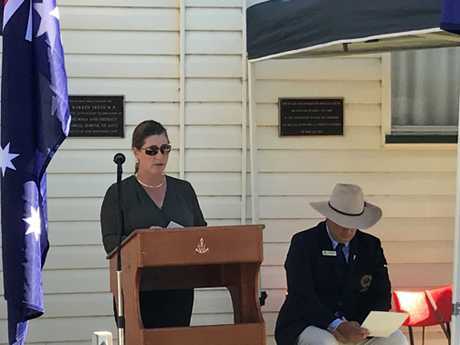 SPECIAL guest speaker Alice Greenup reflected on her family connections to World War I during Kumbia's Anzac Day ceremony. Mrs Greenup spoke of her relative, Private Victor Greenup from Kumbia, who was in the 49th Battalion. She spoke of others from the district who also served, such as Jacob Truss, also from Kumbia, who was killed by German soldiers in World War I.
Mrs Greenup's father also fought and she has a brother currently serving. "Here we are, each decade more wars are fought and each called the war to end all wars," she said. "Let us remember, lest we forget." 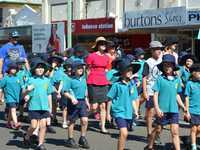 THE Kumbia parade was attended by Kumbia Kindergarten, Kumbia State School, Saint Mary's students and members of the Neighbourhood Watch, all marching alongside veterans and the marching band. 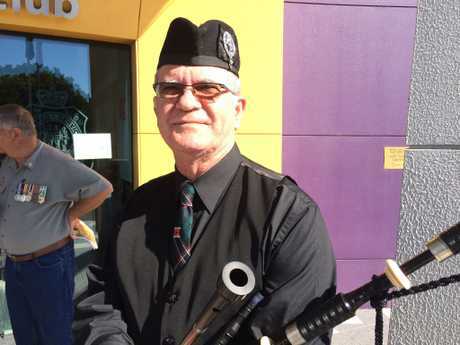 FOR the first time in a long time, the Murgon Anzac Day parade will feature a bag pipe player. Wayne Darr from Kingaroy has been playing for the better part of 40 years, having picked up the ancient Scottish instrument when he was 15 years old. He said marching and performing was not easy. "As long as you keep it simple, it's easy," he said. The Murgon parade steps off at 9.45am. ALLY and Jasmin Kemp took part in their first Anzac Day ceremony as cadets this morning at the Taabinga Cemetery. The twins were two of many cadets from Wondai who took part. "It feels really good to be a part of it because I am able to respect them," Ally said. 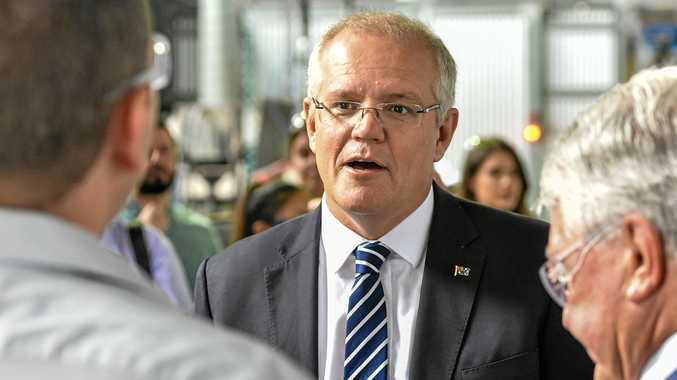 "I went to the dawn service and I will also be in the march." 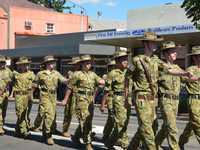 The cadets will take part in in the march from the Kingaroy RSL Club Rooms today alongside schools and community groups. The march will assemble at 10.30am before making its way to Memorial Park at 11am. There will be a citizens' observance in Memorial Park at 11.10am.